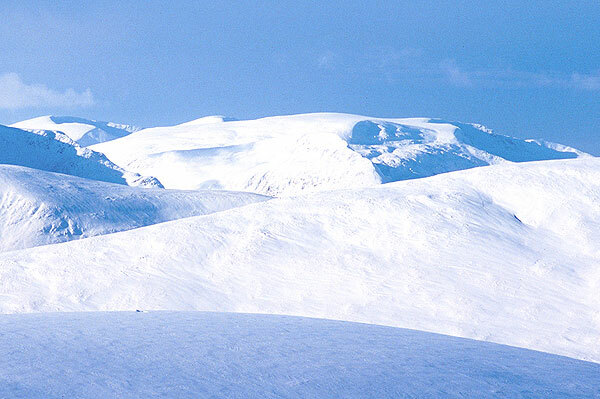 The summit of Beinn Eibhinn overlooks Coire a' Charra Mhoir to the E. The summit ridge forms an arc around the corrie connecting to Aonach Beag via a high col at its eastern limit. W of the summit ridge the top broadens then divides into three ridges running N to Sron an Fhuarain, S to the summit of Meall Glas Choire (924m) and W to Mullach Coire nan Nead (921m). Most slopes have moderate inclines but for those to the S of the summit ridge which are steeper and E of the summit ridge which are craggy. Beinn Eibhinn from Aonach Beag; 22nd May 2008. 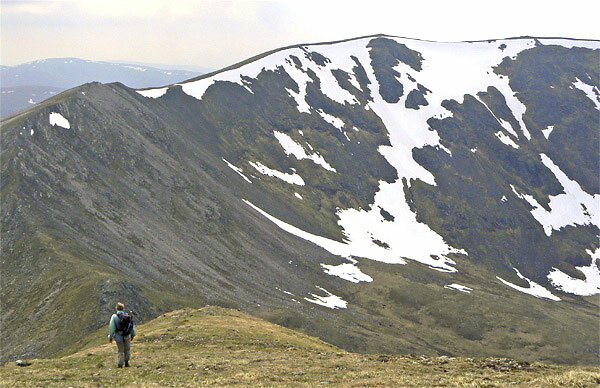 Geal Charn, with the peak of Aonach Beag just visible behind and the summit of Beinn Eibhinn (extreme left) with the slopes of Beinn Eibhinn in the foreground, viewed from Beinn Udlamain. 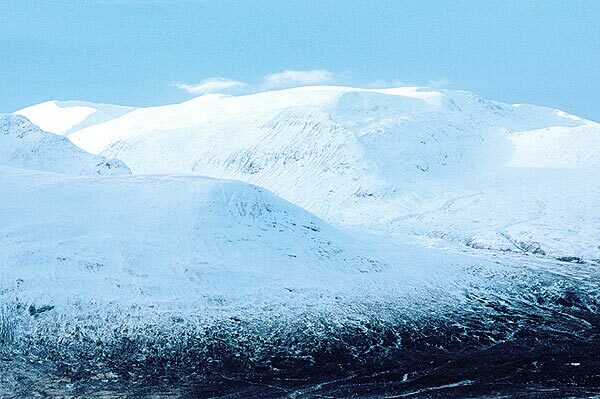 Geal Charn, with the peak of Aonach Beag just visible behind and the summit of Beinn Eibhinn (extreme left) visible behind the rolling slopes of Sgairneach Mhor (foreground), Beinn Udlamain and Beinn Bheoil. 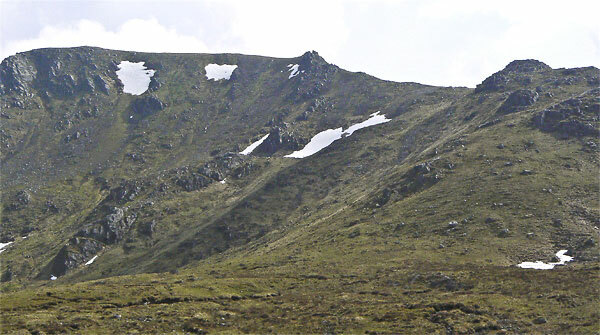 The ridge which runs north-west directly from the summit of Beinn Eibhinn; 22nd May 2008. 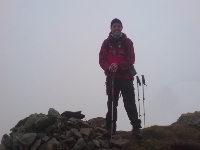 The summary information of one or more ascent routes that include Beinn Eibhinn. Jorja at the summit of Beinn Eibhinn. May 2012. The incredibly sunny spell chose that day to draw to a close! 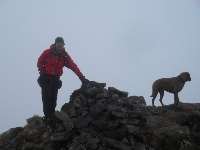 Me at top with Oscar,(1/5/10). 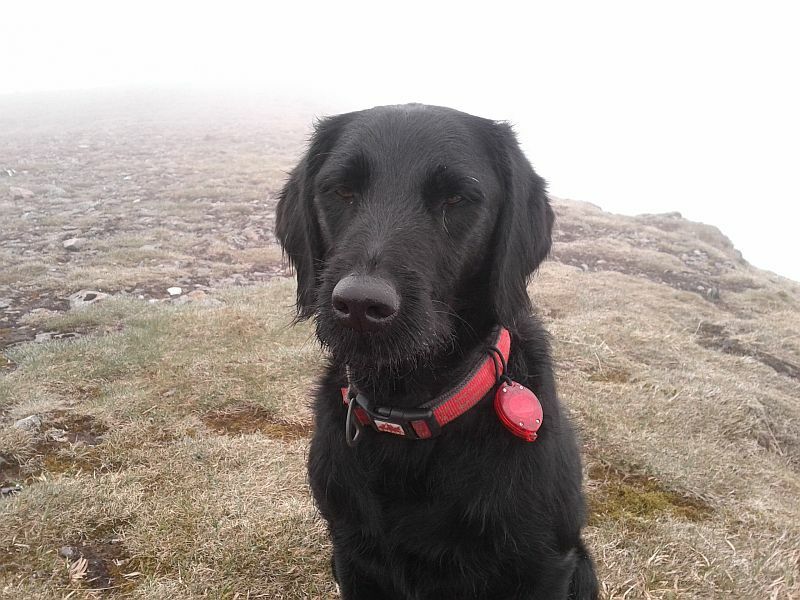 Post a few words about Beinn Eibhinn or read what others have had to say. 22nd May 2008. 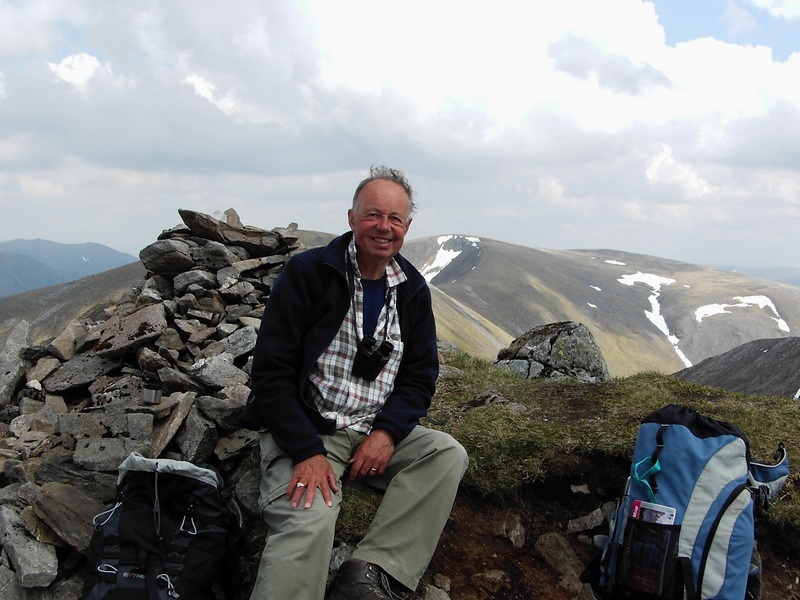 We descended from here along the ridge running directly north-west from the summit and east of the district boundary. After passing through the middle of a rocky tower high on the ridge, the ground drops steeply on loose stones. At the foot of the ridge a line can be taken across heather towards the Allt Cam at 444 766. Fine curving ascent from bealach below Aonach Beag. Cloud lifting on our return for views. 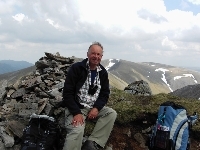 Took our group only 4 hours from Culra Bothy via Lancet edge, excellent ridge traverse and reversed to include Carn dearg.